The centre of the coin shows a reproduction of the signatures and seals in the Austrian State Treaty, which was signed by the foreign ministers and ambassadors of the Soviet Union, the United Kingdom, the United States and France, and by Leopold Figl, Foreign Minister of Austria, in May 1955. 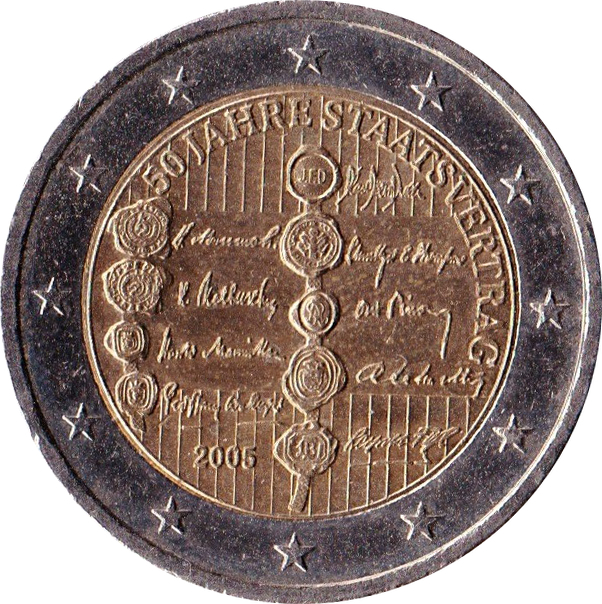 The inscription ‘50 JAHRE STAATSVERTRAG' appears above the seals and the year of issue, 2005, below them. The vertical stripes in the background represent Austria's national colours (red-white-red). 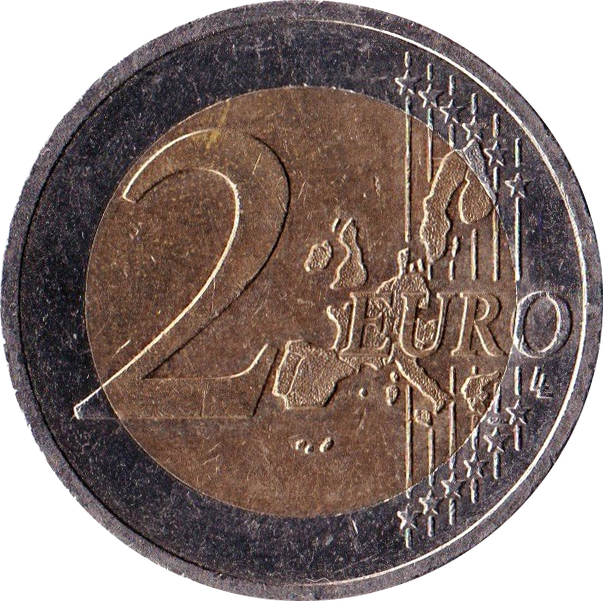 The outer ring of the coin features the 12 stars of the EU.